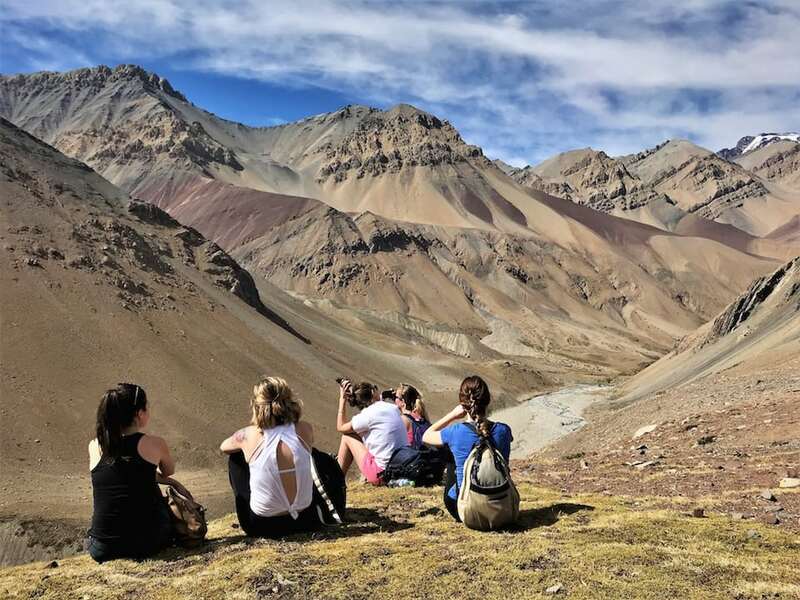 On this tour, you will be immersed for a day in the spectacular scenery of the Maipo Valley, leaving from Santiago. Along the way, we’ll make several stops in beautiful places such as a viewpoint over a glacial valley, the Yeso Reservoir, the Lagoon of the Ducks, the Yeso Waterfall and the Plomo natural hot springs, where you will be able to take pictures, enjoy the areas, learn about the geomorphology of the valleys and the flora, take advantage of amazing local produce, go on a 2-hour trek into the mountains, and – if you’re lucky – spot native fauna such as condors, eagles, chinchillas, culpeo foxes, and more! 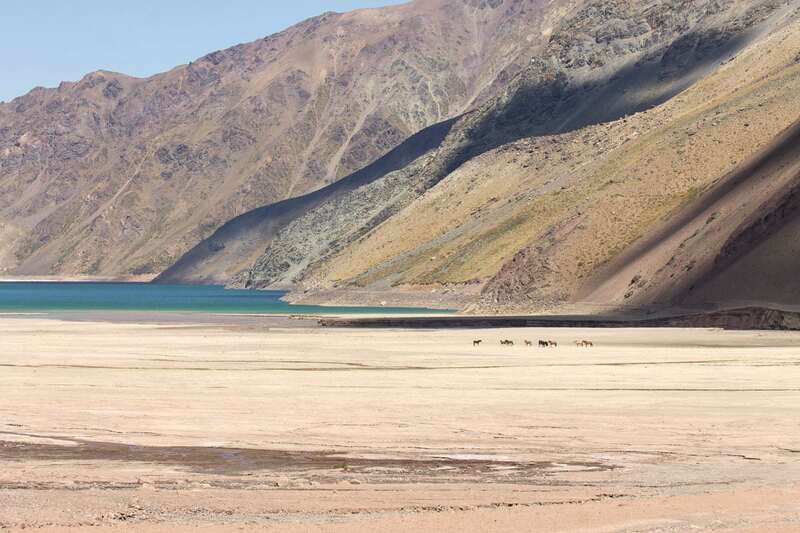 This day, you will start your journey from Santiago, heading east towards Maipo Valley. After driving for 45 minutes, we will arrive at the entrance to the valley and then, we’ll continue on our way towards the Yeso valley. 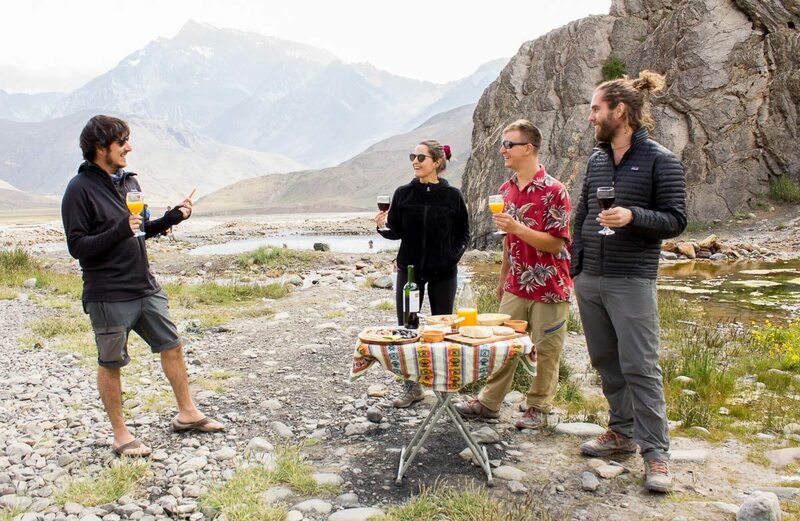 On the way, we will be able to observe vineyards, rock formations, native vegetation, the river Maipo and two of the rivers that lead into it as well as glacial valleys and other sights. 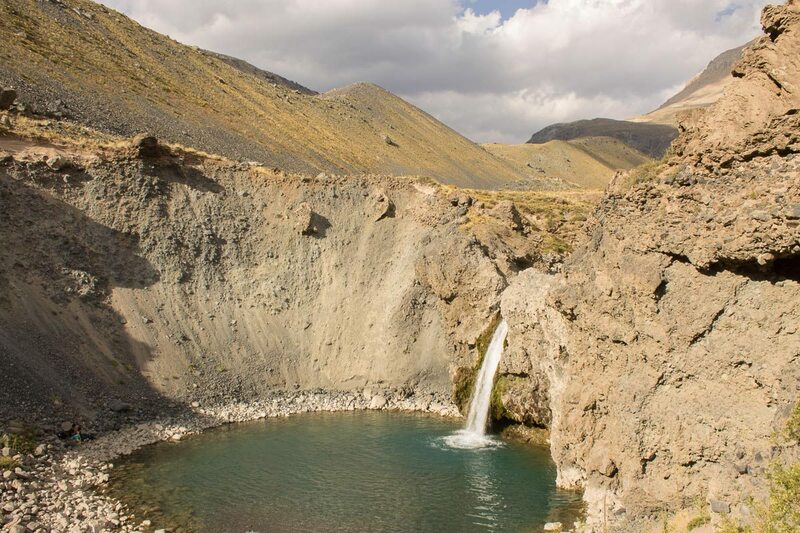 Our second stop will be at the Yeso Reservoir, where we can take pictures of the gorgeous scenery made up of mountains, crystalline waters and a canyon where one of the region’s main rivers begins. Then we’ll continue on towards the Yeso Valley Private Park located 2,900 meters above sea level, where we’ll explore the area on a 2-hour trek including a visit to the Lagoon of ducks, renowned for its incredible turquoise waters and a wide variety of birdlife. Here, you will have 40 minutes to enjoy the area and have a delicious packed lunch. Once the walk is finished, you can bathe in the Plomo natural hot springs located in the middle of the mountains, followed by a picnic on their shores. On our return, we will make our last stop at the Yeso Waterfall, where we will stay for a few minutes before continuing on towards Santiago.